Port Miami has officially re-opened after the port authorities made their assessments. Hurricane Matthew passed by overnight and thankfully the storm’s center stayed away from a direct hit on Miami. As Port Miami is now open, cruise lines are now informing guests on new departure times. In the early hours of Friday morning, the port was checked to make sure no damage was done and that shipping can continue. Even though the port is now open it is still advised to get the latest updates from your specific cruise line. The ships which are scheduled to depart Port Miami today are Carnival Fantasy, Enchantment of the Seas and Norwegian Sky. As far as we know all the ships are expected to depart today. Royal Caribbean posted on their website that boarding for Enchantment of the Seas is to begin at 5:00 PM. Times for Norwegian Sky and Carnival Fantasy are yet to be confirmed but this could change shortly. Carnival Sensation and Empress of the Seas are also expected to depart on revised itineraries from Port Miami today. The ships could depart sometime this afternoon or later in the evening. #HurricaneMatthew #PortMiami is open. Cruise passengers are encouraged to contact the cruise lines directly for itinerary info. 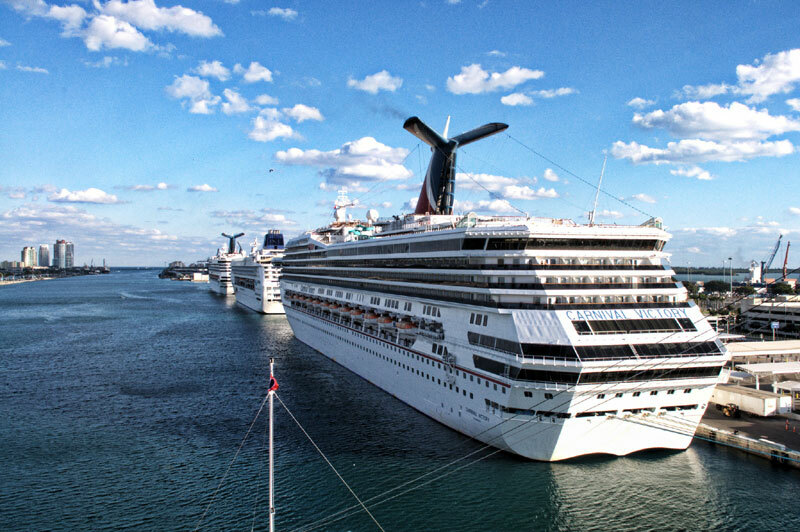 Ships scheduled to depart for cruises from Miami on Saturday, October 8 are Carnival Splendor and MSC Divina, both are expected to set sail as normal. Cruisers should still double-check and confirm with the cruise line. Port Miami is the cruise capital of the world with cruise ships coming and going every day. Even though the port is back open other major cruise ports in Florida are still closed including Port Canaveral and Port of Jacksonville. Port Everglades is being assessed for damage and is set to also re-open shortly. Hurricane Matthew is still pounding the northeast coast of Florida and will reach southern parts of Georgia tonight. The category 3 Hurricane currently has maximum sustained winds of 120 MPH.